I confess to being a perfectionist in a state of constant rehabilitation. I love things done right. And I mean ‘my’ kind of right. The kind of right that is so insanely satisfying to me that the absence of it leaves me bereft. I think I had an inkling that this wasn’t healthy when people who were not in constant pursuit of this demanding level of excellence, succeeded anyway. What?! How could they? They weren’t up to my standards. Now, as I consult to the profession of finance which fed my expectations of perfection so keenly throughout my career – I see it unmistakably as an industry-wide addiction. One shared by many professions and is an epidemic. Bankers are demanding. They have high expectations of themselves, in line with the standards which clients, shareholders, and regulators rightly demand. An industry with so much bad press can afford to be a little preoccupied with high standards, but setting unrealistically high performance goals and having zero tolerance for errors serves no one well and can spawn workplace cultures of complacency, fraud, and deception while demoralizing their best people. Throughout the industry, mechanisms which entrench perfectionistic expectations are baked in. Audit functions comb businesses for errors and issue reports detailing the failings, whilst compliance officers are held personally liable for missteps on their watch. Boards and regulators demand flawless presentations of numbers and immaculate PowerPoint slides with ironclad rigor. 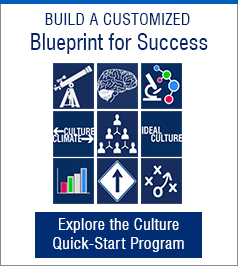 And even the feedback systems distribute staff along a bell curve of performance, linking their placement – perfect or less than perfect – to their incentive outcomes. Yes, it’s well and good to want to get the right data, or the right feedback on a person, or as few compliance mishaps as possible, but what has happened instead is people are afraid to make any mistakes at all. Faults are a sign of weakness – as the ‘Masters of the Universe’ would say – and they won’t be tolerated. But what is lost when we set expectations for ourselves and others which are unrealistic? What is the fallout? Firstly, we have assured some level of failure. Perfection is essentially unattainable so we are guaranteed to fall short to someone else, or to ourselves. We are likely to have our priorities out of sync. Re-edit the PowerPoint deck for the 10th time or invest energy in thinking about what we don’t know on the topic. Time wasted on the minutiae won’t unlock new ideas, thoughts, and visions. We lose the ability to delegate effectively because we sincerely don’t believe anyone else could do it to the standard that we/others expect. With that, relationships at work start to deteriorate as trust and co-mentoring wither. Constantly being under pressure to be flawless leads to stress – real physical manifestations of something which we have imposed on ourselves or someone else has done so for us. Illness, burnout, and more imperfect days. I did a back-of-the-envelope calculation to find out how many of my clients had ‘high’ perfectionistic behavioural tendencies either as individuals or as a team/unit. It was more than 75% over the last 5 years. That’s a huge proportion and from what I experience in my contact with clients, it’s not abating. Candidly, in coaching my executive clients to improve their perfectionistic trait, I am able to share my experience and solutions while learning from theirs. Humans are imperfect. And imperfection requires tolerance. But what is better than Perfection? The pressures to perform at exceptionally high levels are real and many, validly, are not able to be removed. But there are things which can counterbalance the drive for perfection and turn the energy in a positive direction. Focusing on what is to be done not how it is to be done. Setting a goal which is aspirational; not necessarily fully formed or prescriptive, but a stretch task. In essence, focussing on the end-game rather than the exacting, over-engineered, over-prescriptive process to get there. Communicating by listening first. Connecting with other people with genuine honesty and openness so that you are hearing their thoughts rather than punching out the expectations and demands first. Ultimately by hearing alternate views and experiences, the solution will end up being a better one rather than a perfect one. Being aware of our own leadership impact on others through our words and actions. Sent back a four-paragraph document redlined to death for the third time? What are you missing? How is it you are not helping the other person, instead of wondering why are they so incompetent? Consider what your lessons might be from this exercise. No rocket science here; it’s not revolutionary. But the impact can be meaningful. Keeping the perfectionistic inside on a tight leash will work wonders. In an effort to take some of my own medicine, I dialed back my own perfectionistic tendencies in approaching this blog. No fifteen drafts, no agonising over word choices or punctuation – no spreadsheet to calculate the exact percentage referenced. Any errors I will try to own without self-recrimination – and I welcome comments wholeheartedly. 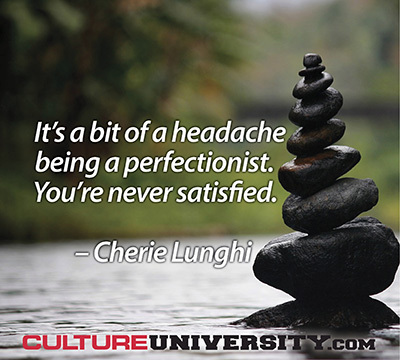 How are you coaching leaders and managers with a perfectionistic trait? Please share your comments and experience below. After twenty years as an international finance executive in senior roles including Chief Operating Officer, Chief of Staff, and Head of Corporate Strategy, Louisa formed the specialist consulting practice, Lucella AG, based in Switzerland. Louisa’s passion is bringing a clear voice to the topic of organisational culture, and the individual journey of a leader, by leveraging the skills honed during her finance career and through the deployment of the industry-leading organisational culture measurement and individual assessment tools from Human Synergistics.